Hi, I'm Tasha Rosa. I'm from Vancouver, BC and my family is from the Squamish Nation. VIDEA has accepted me to be a part of Cohort 3 of the International Aboriginal Youth Internship, a truly interesting decision on their part but I digress. I've been placed in Lundazi, Zambia and I am working with Rising Fountains Development Program. Applying for this internship was something I never actually thought I'd be accepted for. Even now, being accepted and actually in Zambia working, I still wake up everyday stunned and thinking "wow really? I'm in Africa?! Sick." It's quite confusing. I'm happy I get to do this internship as a way to absorb as much knowledge and experience of the world into myself as possible. This internship has opened so many doors and shown me a part of the world I would never get to experience any other way. Getting to go into the field, visit the places the organization I'm placed with has helped out with has been absolutely inspiring. Getting to stand in the apiaries and see vast landscapes stretch out all around you is really such an amazing feeling. The people I've had the chance to meet and connect with are fantastic and I'm glad I went for it. VIDEA has given me a great opportunity that has allowed me to really expand my limits and rediscover myself. I've grown immensely and this has been an unforgettable experience. I really dig flowers, cosplay, reading, cooking and travelling. I'm painfully awkward but once I get past that I've been told that I'm an exceptional conversationalist. My name is Sierra Lewis, I was born and raised in North Vancouver, British Columbia which is located on unceded Coast Salish Territory. I recently completed my Diploma in the Child and Youth Care Counselor program at Douglas College, and I'm finishing my BA at the University of Victoria. 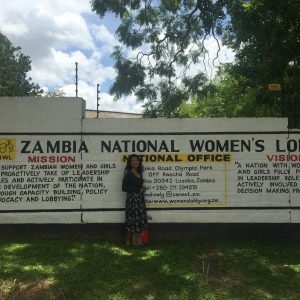 I am currently located in Lusaka, Zambia and work for an organization called Women for Change. This organization focuses on gender equality in social, political and economic development. What really stood out to me was how they focus on empowering women and youth which is also a part of my personal value system. The thought of travelling internationally frightened me at first, however, what I have come to realize is how similar we are rather than different. I have always wanted to travel and experience different cultures. This opportunity is a once in a lifetime experience and has changed my worldview in a positive manner! My name is Preslee Munroe and I have a Métis background. I was born and raised in Winnipeg, Manitoba. I’m majoring in psychology at the University of Winnipeg and minoring in Indigenous Studies. I am part of the VIDEA IAYI programme and my work placement is in Lusaka, Zambia with the organization called Women for Change. Being part of this program gives me the opportunity to travel across the world and gain a new experience. I’m excited to learn about the food and culture here and being able to compare it all to life back at home. My name is Santana Dreaver. I am half Plains Cree and half Saulteaux. Originally, I am from Mistawasis Nehiyawak on Treaty 6 territory in Saskatchewan, but I was raised in Kinistin Saultaux Nation on Treaty 4 territory, also in Saskatchewan. I attend the University of Saskatchewan, majoring in political science with a minor in sociology. VIDEA has given me the opportunity to participate in the IAYI program. I will be based in Lusaka, Zambia working for the YWCA. I am excited to engage in meaningful work and to travel in an authentic way, hopefully inspiring other Indigenous youth from my communities and Saskatchewan to participate in the program. My name is Janessa Redwood-Henry and I am of Saultaux and European descent. I come from the Cowessess First Nation, but I was born and raised in Calgary, Alberta and currently reside in Vancouver, British Columbia. I have a diploma in counselling and I am hoping to start the Bachelor of Social Work program at the Nicola Valley Institute of Technology in the fall of 2019. I am currently placed as an intern at Rising Fountains Development Program (RFDP) in Lundazi, Zambia. The IAYI program with VIDEA has given me the opportunity to expand my knowledge. Here, I have learnt about international development with a focus on gender rights, sustainable environment and good governance. Learning from RFDP here in Zambia has given me tools and ideas that I can bring back to Canada and share with for development in organizations and communities. My name is Rayna Vittrekwa and I am Teetl’it Gwich’in originally from the Canadian Western Artic of Tetlit Zheh/Fort McPherson, Northwest Territories. I am passionate about the environment, often volunteering and hoping to one day study in the field. I strive for more youth to be leaders, I am community driven and always have my heart back home. I’m looking forward to this internship because it feels like a once-in-a-lifetime opportunity. Putting myself in a new place with new surroundings, culture and people while simultaneously broadening my horizons. In Zambia, I’m finding I’m really starting to love the different trees and meeting new people with non-western ideas. program. Iwould like to thank VIDEA for choosing me as one of ten interns. 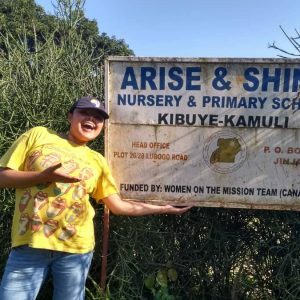 I’ve been placed at the Arise and Shine in Kibuye-Kamuli. Very much looking forward to the next three months here in the village. At the end of our training and briefing in Mumbwa, Zambia, we were asked to draw out what our internship looks like to us, more importantly, what it means. I’m not much of a drawer, so I drew something really basic, with drawn stick figures. Pardon my grade 3 drawing abilities. Anyway, first thought that came to mind, was that this is a great learning opportunity. To learn that there is much more to the world, and much bigger problem than our “first world problems”. Another important part of this program, to me, is to find happiness within myself. Find the genuinely happy person I once was. To do some soul searching. Which is easy to do and I’ll have a lot of time to do, being in the village. Away from social media and out of cellphone service. I have learnt much within the first month, got 3 more months of learning. Looking forward to take in as much as I can. Knowledge, friendship, experiences. This internship means stepping outside of my comfort zone and living in a new area that I’ve never been to before. It is adapting to a culture that is much different than what I am used to and I believe that it is an important thing to embrace! Way’ my name is Sofia Terbasket-Funmaker and I grew up on the Blind Creek Reservation in Cawston, BC. 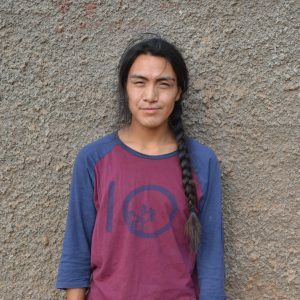 I applied for this program because I am interested in learning from Indigenous people around the world. Every Indigenous population has been impacted by colonization in some way and I believe there is a lot to learn from the diverse and various nations in terms of decolonization, resistance and empowerment. Indigenous people around the globe share intrinsic values of the land, community and respect. I love experiencing the different ways Indigenous communities connect with the land and each other and it is always inspiring to see the resiliency and strength present. 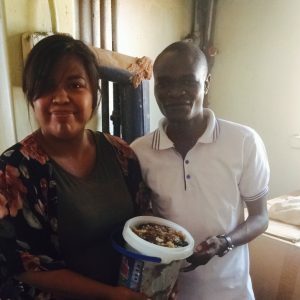 VIDEA provided me with the opportunity to gain invaluable knowledge from Zambia and apply that knowledge to my own community. My name is Miranda Shannon, I am from Frog Lake First Nation in northern Alberta and I currently reside in Calgary. The path that has lead me to this internship is connected so much to my story. Every single person has a story that they are writing everyday and that makes people all over the world some of the greatest story tellers. Decolonization begins from empowering others to speak their truth and listening to these stories from all walks of life. 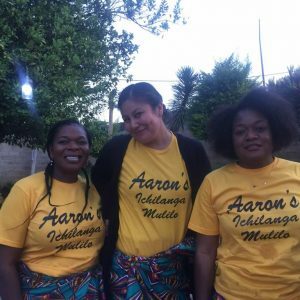 People all over the world have experienced the effects of colonization and this internship is an opportunity to listen and learn from similar resilience. That being said, the IAYIP program has strengthened my voice both as an Indigenous woman and as a youth. It has encouraged me to tell my story and reclaim parts of my own identity that were lost, in many ways from intergenerational trauma endured through my family. I hope to be able to create awareness through sharing my own story and apply my knowledge from working abroad to empower others in my community back home. Oki nistinihka'sim/ hello my name is Savanna Sparvier. Although I am part Cree I was raised in Siksika, Alberta (one of four nations belonging to the Blackfoot Confederacy). I've lived my whole life following the Blackfoot way of life, always encouraging other youth of my nation to connect to the teachings and values of our ancestors. I honestly was really nervous about joining VIDEA, because I've never done anything like this in my life and I've never met anyone who has; but sometimes you have to be the first to do such things in order to pave the path for others who are afraid to follow their dreams. My goal always being to learn as much as I can about other cultures and their values in order to bring it back to my nation members, something that scares me a lot because I've suffered from social anxiety my whole life. 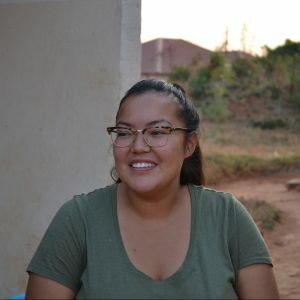 But I really hope that by the end of my internship with EWAD Uganda, I'll be more confident in myself as a role model to all the ones who feel they are too "shy" to try new and amazing opportunities. 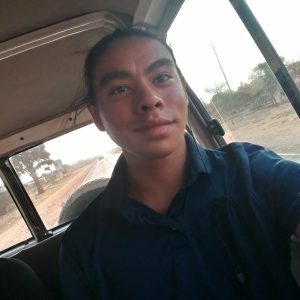 Also being as I am a product of intergenerational trauma, I hope to have gained knew knowledge on the the effects of Colonialism on not just First Nations people but on those around the world; learning as well, the ways we have all kept our ancestral teachings and languages strongle to create awareness through sharing my own story and apply my knowledge from working abroad to empower others in my community back home. I wanted to do this internship because I was really looking to break the confines of my box. I had fallen into a steady and stable routine, and I felt like there wasn’t any growth happening in my current situation, despite the fact that I was in school and working towards a degree. I’ve always had this idea that I would spend my life trying to make the world a better place, and I knew getting a degree would be my next step towards that, but I just felt like I still wasn’t sure about what I wanted to focus on. 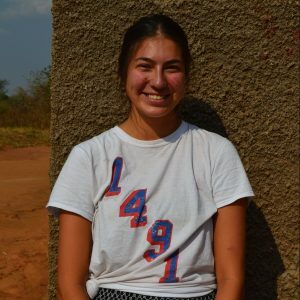 Spending time here in Zambia, taking trips to the field and learning about the development work Women for Change does has inspired me to get more involved in environmental advocacy, and in some way contributing to resilience against climate change, especially in the communities from my nation. This clarification, an opportunity to grow in a new environment, has really meant the world to me, and despite the several setbacks, I know that taking this leap was the right choice. 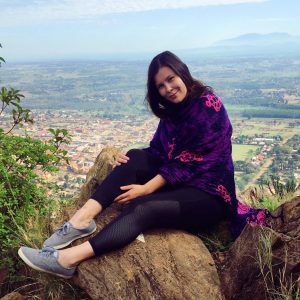 I always knew that I wanted to live and experience another country’s culture, but I would have never thought that it would be in Africa! I’ve always felt a little restricted back home, I felt like I was holding back so much potential to do great things for myself by trying to take care of others needs before my own. Taking that step to fill out the application for the program gave me the time I needed to reflect on my own life and realize what was missing in a sense. This internship has allowed me to open up parts of myself that I didn’t know I had. Confidence being one. 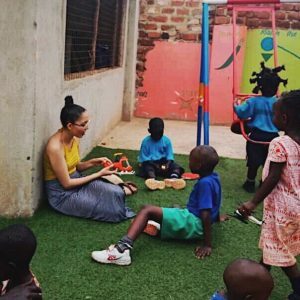 I’ve always been a very quiet and reserved person, but being in Zambia you can’t really be shy, all my co-workers have the biggest fun-loving personalities and because of them I was able to find that part in myself. I am forever grateful for the opportunity. I’ve gained new friends as well as a Zambian family! This internship has been an eye-opener for me. I love that people communicate as much as they do. I have made some better lifestyle choices that I plan to carry on in Canada, such as eating better, drinking more water and exercising every day. This means that I have made much more connections across the world which is awesome. I have learned through real-life experiences, something that you cannot be taught until you go out in the world see for yourself. I have learned to cook better as well! This internship means the world to me, and is something that I will carry with me for the rest of my life.